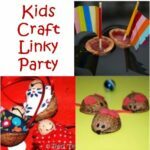 Traditional Walnut Boat Craft – We do love to craft with walnuts. There is something autumnal about them and I love how tactilce they are. Walnuts crafts are also usually very “cute”, because they are small(er)! Our walnuts are back! I did say I had a few walnut crafts up my sleeves… if you liked our little racing walnut mice, you may like our walnut boats too! 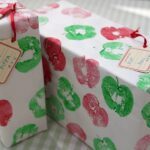 It is another one of those “super quick” crafts. 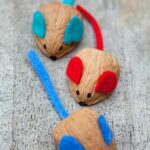 It is also a VERY exciting craft for a young child, as you get to craft with a candle (you can make these using playdough too, if you prefer not to use a candle). 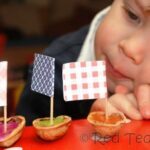 Whilst I have your attention though, I think you will ADORE this little ship DIY (they float BRILLIANTLY and look great as Pirate ships) AND I wanted to share our FAVOURITE Walnut Craft ever with you too!! Bodo Bär is a modern classic series of children’s books in Germany. Red Ted was given Bodo Bär on the pirate’s boat” for his birthday and loves it. It is current book of choice when, ahem, on the loo…… (well you need a good read). 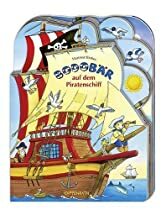 BodoBär and is uncle go on a visit to the the pirate ship – there they get to explore the whole ship – from the hold to the kitchens to the captains room. You get lift flaps and learn lots of very pirate relevant word (e.g. Muskets, Cannons and Hammocks). They even go to a trip to a treasure island, celebrate with a fish cake and Bodo get’s a go on the bridge. Fabulous. What we both like about it: There are lot of little things to discover (like the mice playing cards, the cat hiding in the bed.. there is lots of vocabulary to learn (which is great from our bilingual family point of view) and the book is drawn in a fun, friendly way. In fact – the whole book is boat shaped! As mentioned, this is a very quick and easy craft you really don’t need very much – and you can vary your approach to “making the sail” as suits you! In hindsight, I think it is a shame we didn’t do a paper sail – as Red Ted would have “something” to really contribute. Never the less, he enjoyed the process and the final result! 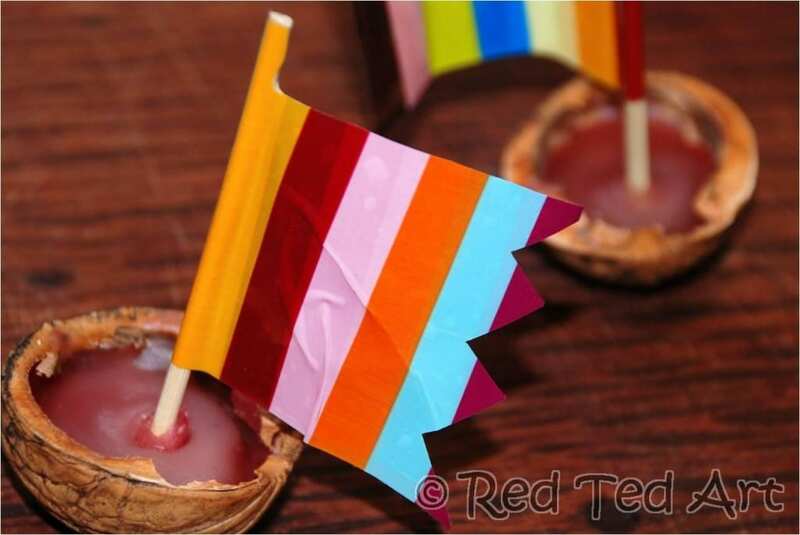 Materials: One walnut half per boat, a candle & match,toothpick or similar, large tape for the sail or piece of paper/ coloured paper/ painted on paper/ paper with a skull & cross bone! 1. 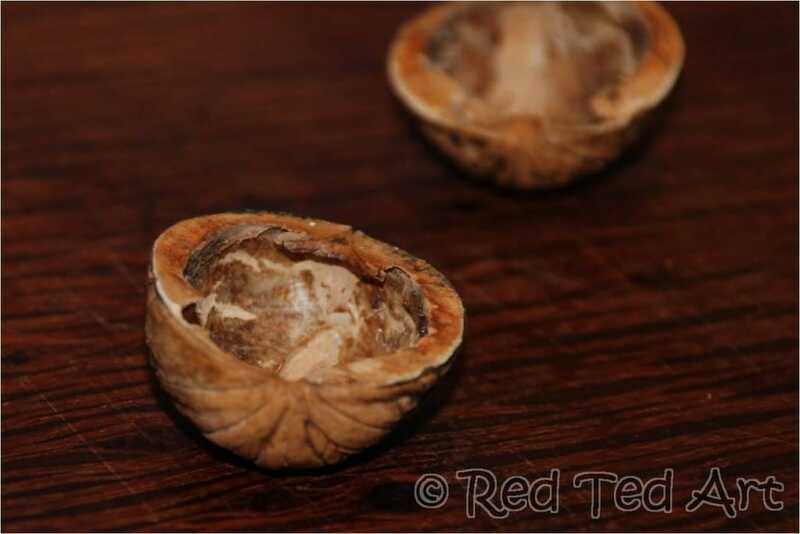 The best way to split your walnut, is with a knife on a chopping board. Ease your knife into a weak spot (at the more round “bottom” part of the walnut and gently prize it open. Sometimes tapping it helps a little. Needless to say, do take care and ensure that small hands are not getting over excited and in the way. I find the older the nut the easier it will crack open! 2. 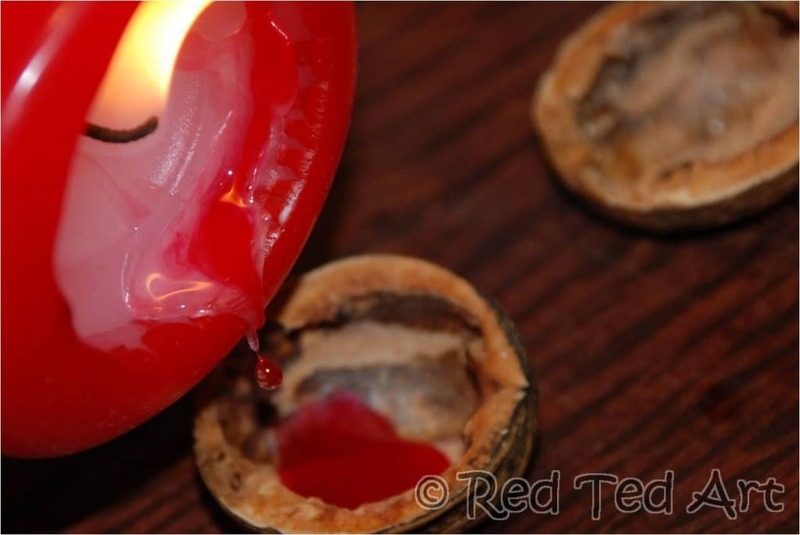 Fill the walnut with wax. 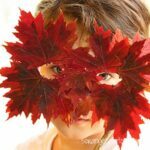 This is a great craft for letting your children try something where they have to take care – of course, you must supervise at all time and make sure they don’t burn themselves, but they will be thrilled to have had a go. Red Ted, being only just 3yrs, was allowed to briefly (!) hold the candle. 3. 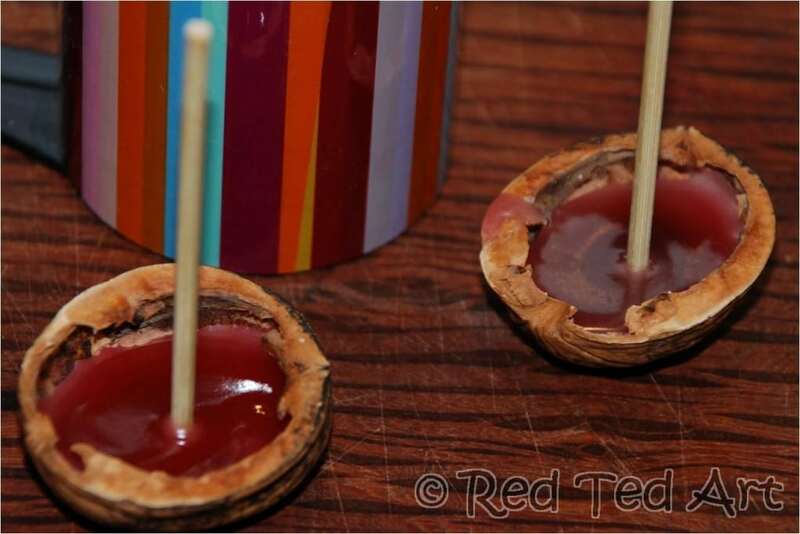 We then stuck in a our toothpick and let the wax cool a little. 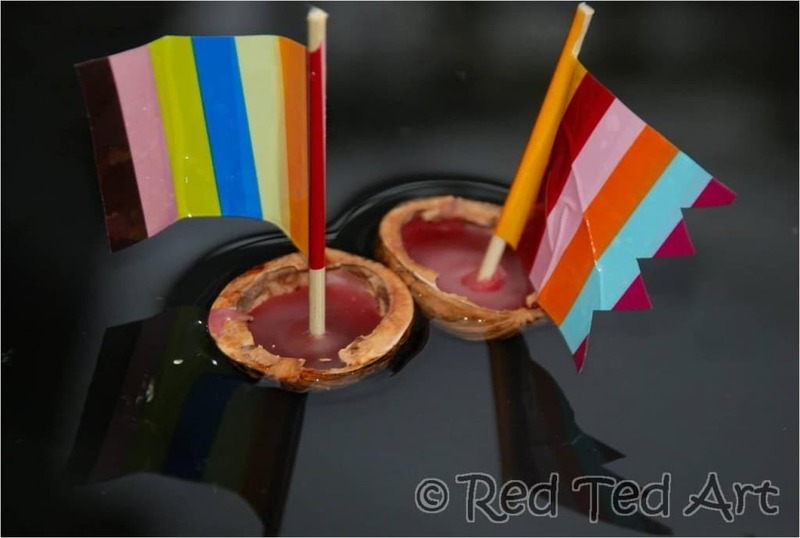 UPDATE: It is actually easier to make your flags FIRST and then stick them in the wax.. Not sure why I did this way round! Hope you enjoyed this little walnut craft! 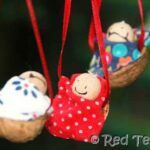 We have some more traditional walnut crafts for you to check out! Yes, that is the “downside” – you have to eat the walnuts too!! Wow! I like the Simple walnut boats! We have that same book in croatian! Love the boats! Those little boats are adorable! Love the idea of pirate ones. Well.. I am pleased you have no walnuts thanks to mice racing… 😉 Def get some more!!! Brilliant idea! I need to get me some walnuts! ;o) Minnie would love these. Oh, I love the walnut boats!!!! We love pirates at our house! And I love the walnut boats, so cute! We might have to try those. Sorry about linking twice. Go ahead and delete one. It didn’t work the first time (but evidently it did, it just didn’t look like it did) so I did it a second time. I love those walnut boats. This is really great Maggy! My kids would love playing with them. That is WELL cute! I didn’t quite expect to meet Bodo auf dem Piratenschiff (20 Mann auf des toten Mann’s Kiste, ho ho ho und ne Flasche voll Rum!) when I hopped over here, intrigued by the cute little ship, but now I’m so glad I stopped by! 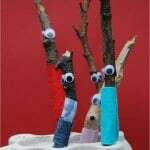 Ah yes, I saved ours from Christmas and it took me this long to get round to making things!! Arrrgh! Sorry!! I guess you need to check the healthfood shops? These would be perfect for JDaniel’s new water table. Thanks for linking to Read.Explore.Learn. They are great! 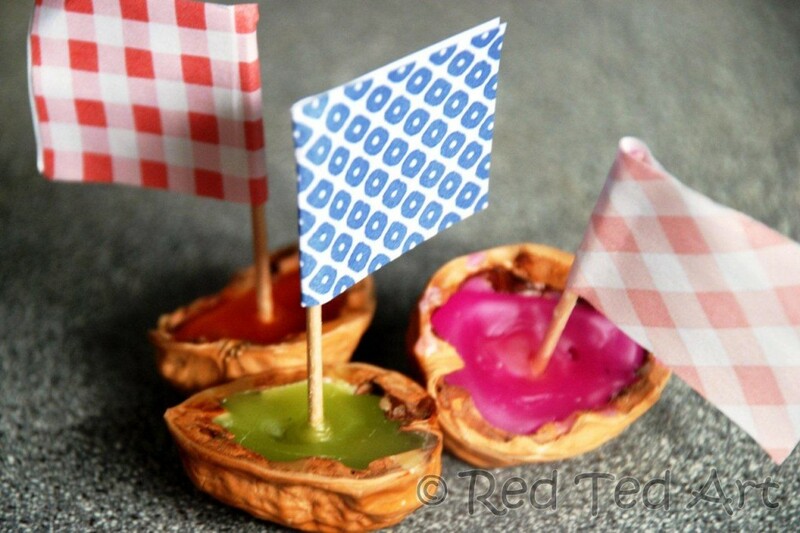 I have a whole bag of old walnuts in one of the craft boxes so we’ll definitely be having a go at these! Oh yes! We played with them in the garden! Def most fun in the water!!!! Will come and check out your sing along video!! Sounds fun!!! How fun! Your walnut boats floated really well. We tried something similar, but ours didn’t stay up! PS – thanks for joining WMCIR! 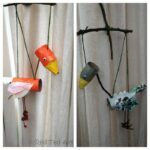 Very cute and fun project to do with the kids. Thanks a lot for sharing! Love them 🙂 Thanks for participation in last week’s High paw and hope to see you again this week! Catching up on some neglected links. Thanks for linking up at Feed Me Books Friday! Thanks for the pirate link-ups – you’re such a helpful reader! These are genius! Love the photos too so vivid and bright!